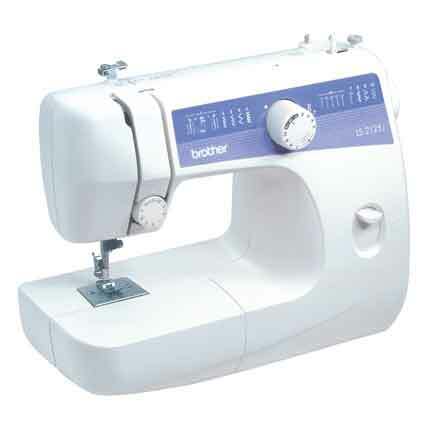 Designed for beginner sewers and those looking for a lightweight, easy to learn and use machine, the LS2125i is perfect for basic sewing and for making alterations to clothing and home dec items. 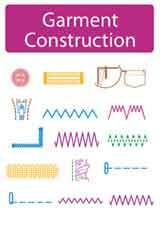 The easy-to-follow instruction manual covers all you need to get started, including threading, bobbin winding, creating buttonholes, and using the built-in free arm to sew pant hems and sleeves. Included are 10 built-in stitches, including elastic, blind hem, straight, satin, and zigzag stitching, and an automatic 4-step buttonholer. Ease of use features include a foot pedal to control operation and stitching speed, quick bobbin winding, a reverse stitching lever, and an intuitive tension control dial. 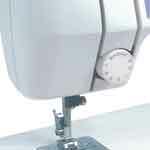 The presser feet feature Brother’s easy-change, snap on design, so you can quickly switch between the included buttonhole, button sewing and zipper feet. A host of accessories accompany this sewing machine, including the foot pedal, 3 presser feet, screwdriver, needle pack, bobbins, extra spool pin, twin needle, and darning plate. Most of the these accessories fit in the built-in storage compartment, located inside the free arm. Includes bilingual English/Spanish instruction manual, 25-year limited warranty, and free phone support for the life of the product. With its compact size and built-in carrying handle, the LS2125i is easy to store and carry. Its footprint is under 15”w x 6.5”d, so you can easily place it on any table or desk, for quick sewing, without the need for a dedicated sewing space. 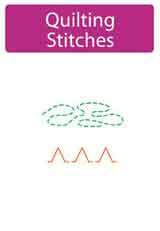 Selecting your stitch is as easy as turning the dial. 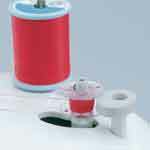 With your upper thread in place, and the bobbin set on the winder, just push the bobbin to the right – and your bobbin is wound for you. Fast, easy, and reliable. 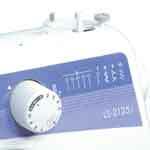 This dial helps ensure your stitches are smooth, rather than puckered or loose. Simply turn the dial to the right to increase tension, and to the left to decrease. For most sewing, you’ll keep the same settings, but can easily increase the tension if needed for denim, and decrease for lighter weight fabrics. 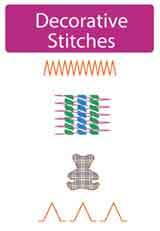 Easily create buttonholes with the built-in, four-step buttonhole stitch and the included buttonhole foot. And use the included button fitting foot to then sew on each button. Simply follow the diagram printed on the machine, and you'll have your machine threaded in no time.